We live in a world dominated by big corporations. And that extends to the adventure travel world. But if you want to encounter the wilder world, it may pay you royally to snub big brother corporate travel and adopt small brother human. Boutique companies such as us are the Davids who more than hold their own against the Goliaths of the adventure travel business. By handcrafting every detail of their voyages they offer special touches to less traveled destinations. Why? Because they’re human, they do business with a heartbeat and a handshake, and they are not driven by technology and corporate profits. When the CEO of a large corporate booking agency is juggling hundreds of trips to a thousand destinations you have two chances of getting that CEO on the phone – slim and none. That’s because they spend their time negotiating with subcontractors or designing software to handle volume bookings. A few of these CEO’s can admit that they run technology companies rather than adventure travel outfits. Their interests are to work purely on volume and margins to satisfy shareholders not travelers. The proud smaller outfits are true adventure companies that seek out honest encounters in a wild world. These companies, run by real live humans with a lot of travel under their belts, have a heartbeat and a heart. Our office team also work as guides on our treks because this is what they love. You can be sure they know a thing or two about real adventure. So, if you have a question about a Tusker trip chances are you will get one of our guides to field your query. And Tusker founder Eddie Frank will also be happy to talk to you if he is in the country. Tusker has seven current destinations: Kilimanjaro, Nepal, Mongolia, Bhutan, Iceland, Peru and Patagonia. Each trip is designed for a very specific trek-oriented clientele. Our degree of difference is in operating our own trips that are led by the company’s founders and/or senior guides that scouted the destination and designed the itinerary on the ground, step by step. It’s old school travel, but it still works in the Internet Age. Booking your trip through a corporate agency is predictable. Their trips travel to the same places everybody else travels, rarely veer off the beaten path (read: crowded) and have few if any surprises, which is the hallmark of adventure. Expectations may be met, but rarely exceeded. Costs are generally cheaper, because a big company negotiates cheaper contracts with local operators due to the crowds they generate. But you always get what you pay for. As a small company, we pour all our efforts into fewer destinations and constantly tweak Tusker treks to exceed expectations with food, equipment, routes and guides. You are guaranteed a true adventure. On Kilimanjaro, we are the lone company on the mountain to give each climber a twice daily medical check up to make sure they are safely handling the altitude. 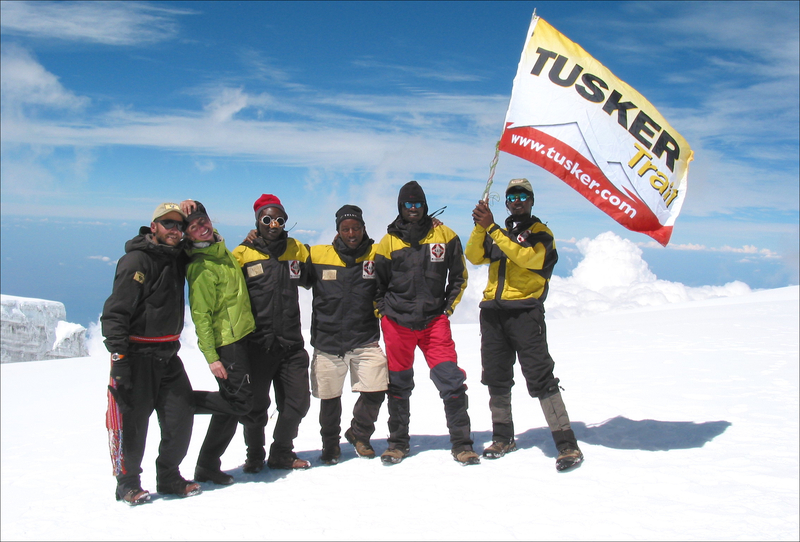 The Tusker crew carries up a special portable altitude chamber as well as oxygen all the way to the summit to aid climbers in case of an altitude emergency, which happen. Our menus are crafted by esteemed chefs from the Culinary Institute of America and our guides are among the most experienced, well trained and well paid. Turnover is zero. Eddie has bagged the summit over 52 times over 40 years and is still leading trips. Our Mongolia horseback trip into Altai Tavn Bogd National Park is among the most distinctive adventure trips in the world. Nominated by Outside Magazine as the trip of the year, it is born out of Eddie and Amy Frank’s adventurous spirit that continually drives them to explore. In Nepal, we take special care to insure our Tusker trekkers get hygienic food and potable water to avoid the Delhi belly that afflicts many trekkers heading for Everest Base Camp. By not subcontracting, we’ve been able to retain control over critical issues such as food and water. We mourn the loss of independent book stores and mom and pop shops. Big has swallowed small and we are less wise because of it. 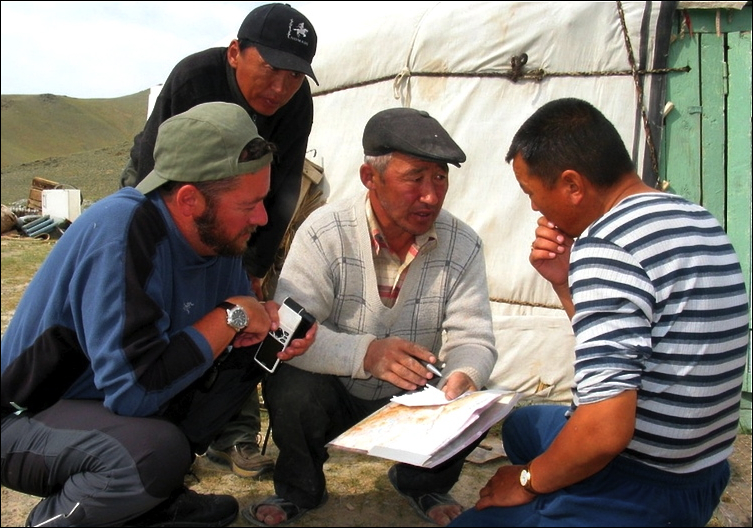 In the adventure travel business, consolidation has claimed many of our original competitors. Today you have far fewer choices for real adventure travel experiences than you did 25 years ago. To survive, we’ve adopted internet marketing and other expansion tools of 21st century business while retaining the heartbeat, the guts and the soul that made Tusker one of the original adventure companies, and what keeps us so unique. We get up every day to push the adventure envelope, and the degree of difference is large.